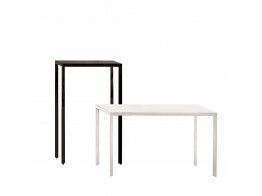 Laccio Tables by Marcel Breuer are available in white, black and red laminate. 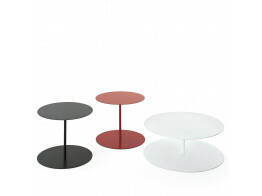 Gong Coffee Table is matt lacquered in white, red, anthracite or sun-yellow colours. 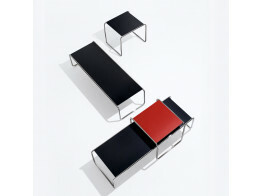 2 sizes available. 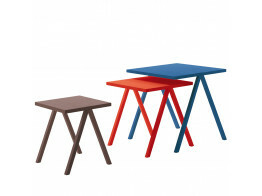 Hiip Table by Leonardo Talarico is available in some unusual colours like cherry red aniline ash and china blue. 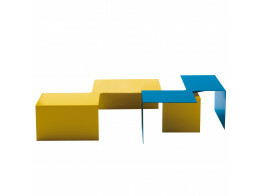 Island Coffee Table, designed by Nendo Studio, is laser cut with two main elements of different heights. 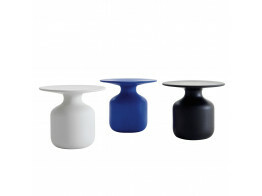 Mini Bottle Coffee Table is a piece of ceramic art, shaped in one of the very best handicraft laboratories. 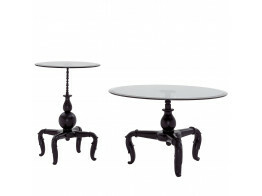 New Antiques Low Wooden Tables have a classic period design and are available in 2 different sizes. 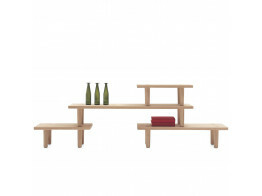 Oak Coffee Table Module by Jasper Morrison is entirely manufactured in natural solid wood. 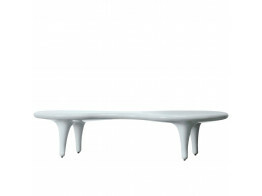 Orgone Coffee Table by Mark Newson is made of fibreglass and is available in 7 different colours.